Is there a better alternative to Chicken Math? Is Chicken Math really the best app in Mathematics category? Will Chicken Math work good on macOS 10.13.4? 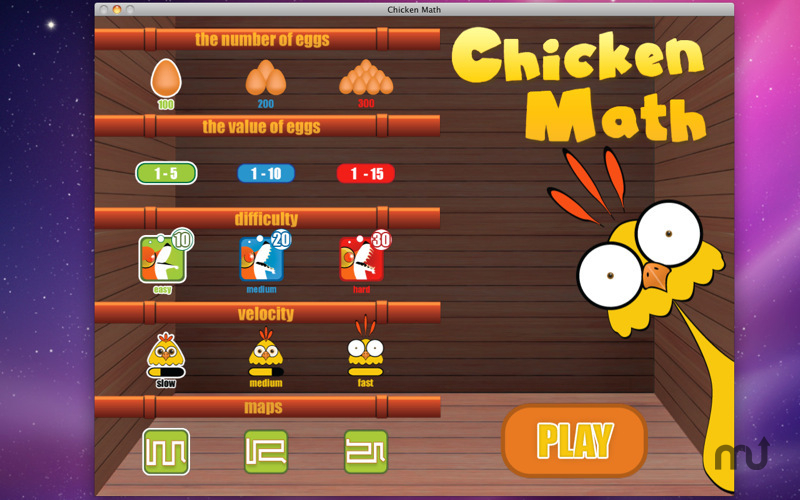 Chicken Math is an amusing game for kids to learn easily add. During the game a yellow hen lays eggs with numbers and kids have to collect them, in that way the sum of numbers of eggs will be the same with that the sly fox thinks. There are 81 mode, so the little ones and grown-ups can play with this game. Chicken Math needs a review. Be the first to review this app and get the discussion started! Chicken Math needs a rating. Be the first to rate this app and get the discussion started!